“No one gets something for nothing. We all should know better.” Teenagers at Wisconsin’s Nottawa High School are drawn deeper into a social networking site that promises to grant their every need . . . regardless of the consequences. Soon the site turns sinister, with simple pranks escalating to malicious crimes. The body count rises. 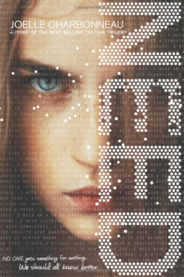 In this chilling YA thriller, the author of the best-selling Testing trilogy examines not only the dark side of social media, but the dark side of human nature. The story of a girl who falls into Chicago's shelter system, and from there must solve the mystery of her father's strange disappearance. Where is Early's father? He's not the kind of father who would disappear. But he's gone . . . and he's left a whole lot of trouble behind. As danger closes in, Early, her mom, and her brother have to flee their apartment. With nowhere else to go, they are forced to move into a city shelter. Once there, Early starts asking questions and looking for answers. Because her father hasn't disappeared without a trace. There are patterns and rhythms to what's happened, and Early might be the only one who can use them to track him down and make her way out of a very tough place. With her signature, singular love of language and sense of mystery, Blue Balliett weaves a story that takes readers from the cold, snowy Chicago streets to the darkest corner of the public library, on an unforgettable hunt for deep truths and a reunited family. Entrenched secrets, mysterious spirits, and an astonishing friendship weave together in this extraordinary and haunting debut that School Library Journal calls “a powerful story about loss and moving on.” Nothing matters. Only Bird matters. And he flew away. Jewel never knew her brother Bird, but all her life she has lived in his shadow. Her parents blame Grandpa for the tragedy of their family’s past: they say that Grandpa attracted a malevolent spirit—a duppy—into their home. Grandpa hasn’t spoken a word since. 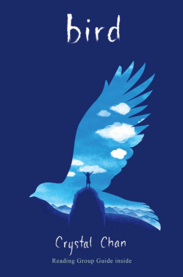 Now Jewel is twelve, and she lives in a house full of secrets and impenetrable silence. Jewel is sure that no one will ever love her like they loved Bird, until the night that she meets a mysterious boy in a tree. Grandpa is convinced that the boy is a duppy, but Jewel knows that he is something more. And that maybe—just maybe—the time has come to break through the stagnant silence of the past. From the moment Horace F. Andrews sees the sign from the bus--a sign with his own name on it--everything changes. The sighting leads him underground to the House of Answers, a hidden warehouse brimming with peculiar devices. But there he finds only questions. What is this curious place? Who are the strange, secretive people who entrust him with a rare and immensely powerful gift? And what is he to do with it? 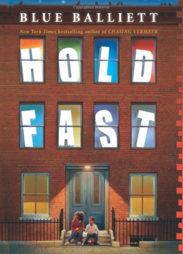 As he works to master his newfound abilities, Horace quickly discovers that nothing is ordinary anymore. From the sinister thin man lurking around every corner to his encounters with Chloe--a girl who has an astonishing talent of her own--Horace follows a path that puts him in the middle of a centuries-old conflict between two mysterious factions. Horace's journey leads him and Chloe deep into a place where every decision they make could have disastrous consequences. Most important, it links Horace to the Box of Promises and a future he never saw coming. 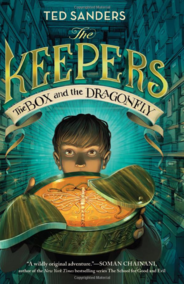 With an action-packed blend of fantasy and science fiction, Ted Sanders creates a world where everything is more than it seems and where friendship and loyalty have the greatest power of all. When Emma Sasha Silver loses her eyesight in a nightmare accident, she must relearn everything from walking across the street to recognizing her own sisters to imagining colors. One of seven children, Emma used to be the invisible kid, but now it seems everyone is watching her. And just as she’s about to start high school and try to recover her friendships and former life, one of her classmates is found dead in an apparent suicide. Fifteen and blind, Emma has to untangle what happened and why—in order to see for herself what makes life worth living. 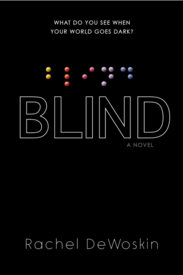 Unflinching in its portrayal of Emma’s darkest days, yet full of hope and humor, Rachel DeWoskin’s brilliant Blind is one of those rare books that utterly absorbs the reader into the life and experience of another. Think fugitives are always bad guys running from the law? Think again! The twelve fugitives in this book annoyed everyone, including queens, presidents and popes. But they didn’t let the peeved or the powerful stop them from breaking laws. They stood up for what they believed in, which could be as noble as freedom or as greedy as money. They founded countries, won wars, and even ended empires—all while on the run! Follow the twists and turns of these lawbreaking lives to learn how anyone can change the world. Even you! Just make sure you have your running shoes tied tight. 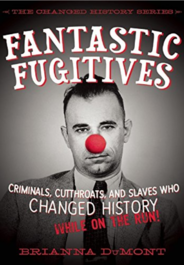 Fantastic Fugitives: Criminals, Cutthroats, and Rebels Who Changed History While on the Run! is the second book in Brianna DuMont’s Changed History series. The series includes Famous Phonies: Legends, Fakes, and Frauds Who Changed History (2015) and a forthcoming book on thieves who changed history. Fantastically fast fugitives hiding inside: Spartacus, Cleopatra, Martin Luther, Koxinga, Mary, Queen of Scots, The Pilgrims, Harriet Tubman, Typhoid Mary, John Dillinger, Emmeline Pankhurst, Virginia Hall, and Nelson Mandel.